All 78 of the Microsoft Stores will have 20 Dell Venue 8 Pro Windows 8.1 tablets available at $99 followed by a minimum of 10 more at $199. 100 will be available online starting from 7am PT. Get to your local (US-only) store early if you want to be sure of the $99 offer as it’s a great deal on a great Ultra-Mobile PC. Nearly 2500 Dell Venue Pro devices are likely to be sold tomorrow. If you’re one of the lucky one let us know how big the queue was and what your first impressions are. The UMPCPortal Dell Venue 8 Pro is on its way and should be with us before the end of next week but we’ve already got reviews and videos up thanks to guest poster Ef Jay who’s 15-minute deep-dive video is below.Check out all our Dell Venue 8 Pro content if you need more information. O wait I see you posted that already my bad! Its not a good deal. All new 8″ windows tablets can not be upgraded to x64 so it can not run many apps that run on x64 only. 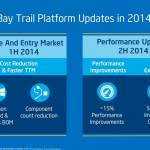 It is better to wait for Q1 of 2014 that new tablets with x64 will be released. I will stick with my samsung tab 3 8″ till a x64 tablet come to market. haha haha you are funny I am not in states. What apps do you use that only work on 64-bit OS’s? For me, I have one and it’s VMware Workstation. I’d like to what others are 64-bit only. I am using 3d cad – cam software just for viewing content of drawings (you can not work on tablets with so small screen just for checking) on the go. The majority of apps are only 64bit. Also vm ware app. I will have to wait for 64 bit version with 4gb of ram. I hope Q1 2014 will be available. Unless in Q1 2014 the tablets with 64 bit OS and 4GB RAM came out at $99., then cmvr / cmvrgr ‘s (I don’t understand why people using fake names have to change it even?) claim that “its not a good deal” (sic)has no backing. A good deal, or not a good deal, has to do with comparing pricing from before for the same goods, or current pricing for different but close enough goods. As of this time, no other Windows portable computers (current models) are selling for $99., not to mention just tablets. Can you, cmvr / cmvrgr name one? What about comparing to previous pricing of this model? The lowest sale price of the same model was $229. USD; at Wal-Mart and Amazon.com; even that was sold out in many places. $99. vs $229. is more than 50% off. How about comparing to other killer deals, such as Black Friday’s ones? How much discount can you get? And the offer is for both US and Canada. You said you are not in the states and then hahaha, but if you are in Canada you still could have gotten this deal. So what’s the hahahaha about just “the states”? And then you mention your special needs. But from reading UMPCPortal for years, I do not notice that many people reading and participating on this blog / forum runs / uses software as you do. So you have special needs, and thus your case is special, not general. When you said “its not a good deal” (sic), you say that as a general comment to the readers here. As for your information, I know that VM has been successfully run on the Acer W3, which sports the previous generation CPU, and on a 32 bit Windows 8 OS. It might not be VMware, but it is true VM nonetheless. You don’t need 64 bit OS to run VM (unless you have again, some special needs for such versions). The question is not if 64 bit version will come (although I doubt in Q1 2014, why don’t you quote where your source comes from? ), but will it be $99.? Some people probably bought it and then flipped it for making $100. easily on it. If “its not a good deal” then they would not be able to sell them, but I doubt that. Both Slickdeals and RedFlagDeals have long discussions on this. Nobody has disputed that it is not a good deal except you. Only problem is most people couldn’t get this deal (but I did and a friend) because quantity is limited. Last but not least: guess you have never heard of remote control software? Since you only need viewing, you can just RDP or TeamViewer or whatever into a (any) 64 bit computer to do whatever your 3d cad thingie you need to be. Mr DT first of all I would like to thank you for your reply. I like your real name DT is shorter than cmvrgr but it reminds me my first motorbike a yamaha DT. Team viewer and other apps is not a solution for a majority of apps cause I need them offline as the majority of users. The price deal is of course good as you get it half price but all those tablets with 32 bit only are not. It’s a huge mistake that Microsoft and Intel did. Many people that are not in the need for specialized apps like me require 64bit support for future use. It’s not super deal a machine that should be replaced next September that 64bit support will be available. not only me and many others like artists, engineers , doctors etc that use only 64bit apps should stick out with heavy surface pro alike machines.. If someone need a tablet for browsing and email there are better deals with android and ios that are lighter and better is size and weight..
No Mr DT I haven’t got a better deal to offer at 99$ and I do not give a dime about it. If I had to wait hours in the line to get it I have better thinks to do. About the hahaha I was just LOL at the reply of the comment that the other user did. And I wonder who gave you the right to become judge and criticize with offensive tone because I do not live in America or Canada. I never claimed DT is my real name, but it is my real initials. I never criticized your screen name(s); I found it interesting that you changed it (I personally can’t think of a necessary reason). I was not judging or criticizing you. On the other hand, when you put the “not living in the states” and then “hahaha” on the same line, it might be seen as some kind of sentiments about those living in the states (unless you qualified it, but you didn’t). You still didn’t get it, so there is no point for me to go on. You said that it is not a good deal (may I repeat it 10 more times? ), and your reason is that it is not 64 bit. I said that a good deal and being 64 bit (actually the processor is capable, just that it is not shipped w/ 64 bit OS), are completely irrelevant to each other. So again, you still attempted to defend that it is not because they are 32 bit only. My point is this: you are telling everyone that it is not a good deal (actually $99. is a super deal. You are plainly wrong.) because you personally need it to run 64 bit software. Now you are dragging the artists, engineers and doctors, because you also speak for them? I don’t care if they also need to run 64 bit software because to each his own. But are you saying that these artists, engineers and doctors also don’t think this is a good (actually IMHO, super) deal? You don’t give a dime but you have such a strong opinion that you have to defend yourself about your opinion that it is not a good deal. And you don’t give a dime to back it up (to have a counter offer example). Also, many people wait in line for things. You never wait in line in your life? Even so, you can’t make others to follow your own (high end?) lifestyle and dismiss this deal. Offensive tone? Take a look at your own posts. I wouldn’t have come on if I didn’t feel your posts were really outrageous. come on. Don’t play it dome…. I said as 99$ is a super deal as 32 bit only is not as it chops down the whole future use with no 64bit support as most software houses drops every day 32 bit apps. As for your tone you are at the same level. I would like also to mention that you started to criticize personally me. Look at my 1st post I was criticizing only the machine Noone else. If you said it is a super deal as (read as “but”?) only it is not; it means the same thing. The only difference is that you qualified it with one condition: being not 64 bit. Most software houses drops everyday 32 bit apps? Everyday means what everyone uses everyday? Really? You can’t be vague about this and then come back and give you back paddle room. My tone has changed; you are mistaken. My first response was to criticize your post, not you, because I didn’t know you. When you came back and back again with your disingenuous argument, I then realize that I am not talking to a reasonable person here, and thus I admit that I have been harsher than I should have, because I think you are not being reasonable. Reasonable means that when you apply a general statement, you expect the audience have the same experience and sentiments that it cannot be too far off. As of now, see which posters have sided with you? Sure you didn’t criticize others, but your post could affect some readers to wait along with you, for this (elusive?) Q1 2014 64 bit tablet. You still have yet to back up that claim. What if some readers who would have gotten a chance to get this $99. deal but didn’t because thinking that you have some tips about 64 bit coming in Q1? (not to mention would that be $99? or even $199?). You have a (laughable) attempt to influence others, putting out a (originally unqualified) statement that it is not a good deal; and lure us to wait for Q1 instead (but none of us have any leaks that any of such will come in Q1). And then you elaborate on how important and critical 64 bit is today, everyday apps dropped for 32 bit blah blah blah. Don’t know what world you live in (must be 64 bit I do know), but our world is not the same. No, most commenters here are not like you. You are really “unique”. Nobody has your requirement, trying to read 3D CAD drawing on a 8″ tablet. But last I checked, your Tab 3 8.0 runs 32 bit OS, and has few if any 3D CAD apps. I wonder why you bought it and not waited for a 64 bit Windows tablet? Sounds like a hypocrite to me. Mr DT the only real reason to buy a windows tablet instead of an adroid or an ios tablet is to run windows native applications. If you can not do that it is far better not to go with a fat and heavy win tablet..
As for the touch enable applications for metro is for Lol for sure at the moment. The fanny part is for us that we are developing apps for mobile devices is required to use 64bit enabled PC to compile the code as the compilers are only on 64bit the last 2 years. Yesterday a friend bought a toshiba encore 8″ win 8.1 32x machine and he gave it to me to install applications for him. I liked it a lot and I would surly buy it if it could run and 64x apps. It’s too big and heavy in comparison with note 3 8″ 3g (that works also as a phone) and you need definitely to have bt mouse with you if you want to work with windows desktop apps. This is the true power of that tablet. I liked also the hdmi port that converts it to a desktop replacement something that Dell is missing. The touch experience can not be compared with ios or android and needs a lot of improvement in supported apps. As for your comment that my opinion maybe will effect all other users from not buying it I have to say only two things. 1. All companies that develops those tablets they should say that the tablet can not run x64 windows because Microsoft has an issue with the system that while you wake it if it is in standby mode. So even if you install x64 win 8.1 there aren’t any drivers available and if someone install it it losses power consumption benefits and auto synch while in standby mode. 2. For my opinion the only reason that they tried to bring them to the market before Christmas is because the wanted to have a share for the Holliday gifts as tablets are the no1 present. For 99$ or 73.35 € or 61,5£ is a super deal but if you have to buy it for 299$ in states or 339 € in Europe is a bad deal with the lack of 64x support as even android struggles for 64bit apps. from that perspective is far better to wait a couple of months and buy one with 64bit support that will cover all range of apps..
You happen to use an example, the Toshiba which happens to be the heavier among the current models of 8″ Windows tablets. But the one in question in this thread / Chippy’s article / blog is a Dell Venue Pro 8. Dell’s spec: Weight	395gm / 13.9 oz. 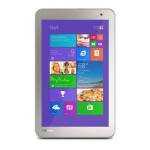 Toshiba’s spec: Weight	480gm / 16.9 oz. Lenovo’s spec: Weight	350gm / 12.3 oz. So it depends which one you are comparing to. I could also chose a very heavy Android tablet to compare with the lightest Windows tablet (currently the Lenovo). With all the info available on this excellent site, you didn’t seem to want to compare the best vs the best? And even if an Android tablet wins in this spec, it is expected as Windows require more resources to run and thus it needs a bigger battery. This is as small as they can make it today, much improved from previous generations (I own a Samsung Q1, funny you use Q1 for something unrelated), and you are still complaining? The Dell is missing the HDMI but it compensates it with Miracast, which is wireless. Touch experience is good for Metro; not good for Desktop with fingers. But I have a stylus for the W3 (passive but works great, an adonit), and Dell has an active one for the Venue Pro 8. And nobody forces you to use finger on the desktop mode. Where did you not see the tablets are not coming with the spec on the 32 bit Windows? You are saying all the companies do not release this spec? I can’t believe that could be the case. It is not the case that x64 Windows has problem waking up from standby. Even Windows 7 doesn’t have that problem. I don’t know where you get that info from. Obviously you haven’t read up carefully. All they have said is that they have yet made the Connected Standby feature to work on 64 bit version (YET). Connected Standby is not “standby mode”. Basically you have all the wrong ideas about Windows 8.x and you are trying to make your case here? For some users, they don’t have to have Connected Standby, but MS decided that it is a feature to compete with instant on and always connected platforms like iOS and Android so they insisted that this experience must be included. Thus no 64 bit version out (yet). You are again mistaken about the timing on bringing it to market before (this) Christmas. The Connected Standby capable Windows 8 on a small tablet was available on the Acer W510 over a year ago; hardly new. The W3 came out in the summer. They are all Windows 8 tablets. Yes, I own both, btw. I am glad you at least finally admitted that it is a super deal at $99. Actually the going price in the US has been $229., you can get a 64GB version with a factory case at Costco US for $299. $299. is only the official MSRP, and few people pay that if they are smart shoppers. Still you still want us to believe that “in a few months” (BTW, please refrain from using Q1, I didn’t bother to mention it earlier. Q1 is a fiscal term, and fiscal is a business terminology for corporations and each corporation has its own fiscal year. And thus Q1 doesn’t mean anything unless you also mention the company, like HP etc), you need to bring something to the tablet, not just talks. Like references as to where this info you got (and repeated claimed). BTW, not counting those older devices, I now own 3 Windows 8 tablets. I don’t have a problem with apps not capable b/c I just use it for ordinary stuff. I have my laptops, ultrabook, desktop that run x64 Windows 7 if I need to do any 64 bit stuff. I don’t need my tablets to do 100% everything, and I don’t expect them to anyway. Still, it does 100% for what I need it to do actually. Along with my 3 Android tablets, 1 iOS tablet, my world is complete. While for you, you can wait, and when x64 comes, some people would whine why not 128 bit? (I can imagine). To me, it is not fat and heavy, esp the Dell (which is in this article). I consider it rather small, and I own a Nexus 7 as well. The W3 is slightly larger but still not considered “fat and heavy”. It seems like you have a biased view of whatever is available on the market for this platform, regardless. You would diss a current offering, and compare to an imaginary product that is not known, but you claimed that would be out in a few months. There are many people like you out on the internet. I have sometimes heard some people would have come back with a line: if you don’t like this and don’t like that, what have you made or designed lately that is so great? I absolutely like that line. Today we received a Dell Venue Pro 8 from another friend. Toshiba feels better in quality but dell is lighter. None can compare to the weight and size of samsung tab 3 8″. Both are nice try for first versions of win8 tablets but they need smaller bezels as the site is almost equal to note 8″. The only bad think is that 8″ screen for desktop applications is not helping for long use as is super small. A mouse in required 100% for “desktop replacement type” works. Toshiba with the mini hdmi and a vga convertor works nicely as a light desktop replacement. I hope Q1 2014 to enable 64bit and apply 4gb ram on 8″ windows tablets. I hope to decrease and the size of bezels as it feels too bulky in comparison to tab3 and lg 8.3 tablet. I hope to include a 3g module and with an option to use it as a telephone. Maybe santa will hear my wishes…. I ordered the WT8 so i’m glad to hear the WT8 is good quality. What do you mean by Q1 2014?? It means nothing as it is a corporate fiscal terminology, and it is not a calendar description. The Venue Pro (and other Windows 8.1 devices, although currently there are some bugs) can utilitize Miracast to output to HDMI also. VGA is another matter, but I am surprised that someone like you who disses old tech like 32 bit, still relies on VGA connection. The bezel on the Venue Pro 8 is already smaller than that of the Acer W3, so I see that as an improvement. I prefer to compare what are available today, not something that is unknown in the future. So there might be a smaller bezel unit out there (Lenovo? ), but a small difference is not a big deal for me. I am not sure why people are so obsessed about these esthetics, and the difference is not even 10% of the measurements. Venue Pro 8 has 3G and 4G options in the US. I know you are not in the US. I think Lenovo has also (I forgot to check). As for using it as a phone, very few models ever did. Samsung and Huawei is one exception. For me, I am not using a tablet as a phone even if it can. I can’t pull out a 8″ device just to dial a number, because I will be laughed at, I am sure. You don’t have to use a mouse for desktop mode. I use a stylus, and I also own a bluetooth keyboard with glidepad. You can also use virtual glidepad on an Android phone (I think Logitech makes one for iOS as well) w/ various apps. There are many options. Thus it is not a “must” as you put it. And who are “we” exactly? Am I talking to more than 1 person writing as cmvr / cmvrgr? we stands for my partners in my job. w3 quality in comparison with toshiba and dell is far behind. why you are criticizing the vga connector ; 99% of the companies that I am visiting all over Europe, middle East and Russia they use it to connect with projectors and office monitors even airports. (sarcasm is not necessary). I know a minimum of 48 people around Europe that they use their tablet as work phone. I thought like you that holding an 8″ tablet is ridiculous but Noone laughs except those that are super idiots and it happened only once. If you need to read and write on the road a 8″ screen is much better for tired eyes. of course a bluetooth is a must when browsing at companies vpn and talking with a partner at the same time. About the stylus I haven’t used one with the Dell that supports it but is it working the same way as a mouse while cropping to photoshop on the road ? I have owned many computers from many brands. Dell is not that bad, nor this Venue Pro 8. I am comparing it side by side to the W3, and I don’t see anything worse on the Dell. On the contrary, the W3 has the not very good quality LCD. So if it is comparable to Toshiba, then Toshiba is probably not good either? (I have yet to see the Encore, but I have owned many other Toshiba products, including a recent Ultrabook. They are not bad). I am not criticizing the VGA connector. It doesn’t exist for me to criticize, correct? I’m impressed that you take only a Windows Tablet all over Europe, Middle East and Russia. Oh wait, you don’t have one yet because you are waiting for “Q1″ for the 64 bit model! For me, if I have to rely on this, I would simply bring my Acer W510 and its MicroHDMI to VGA Adapter (came with the box). Oh, not for you, must be too big, oh no! You have to take only a 8″ device, no bigger, so you must wait. Ok, to each his own. I have over 10 devices at home that can output to VGA, so if my Venue Pro doesn’t, I don’t mind. (Even my Toshiba PocketPC PDA can output VGA with an adapter, and I own this set). Actually I was just joking about holding an 8″ tablet as a phone. Of course I know there is Bluetooth. But the problem is: please tell me which past or current Windows tablet can do cellular voice calling? None right? So I am not laughing at the device because it doesn’t exist! (same as above). But my personal reason that I won’t, is because I need to check the Caller ID before answering a call; pulling out the 8″ tablet to look at the screen for each incoming call is laughable act. (not to mention outgoing call, but it is slightly more manageable). Europe must be a very different world if you have these 48 people using their tablet as cellphones (I know it’s called Mobile Phone in Europe). Too many things I am unwilling to use it like that myself; including dead battery and non removable battery etc. I like my phone (now an Android, Samsung S2) as a phone size. Bluetooth can stop working (various reasons) and wired headset can tangle or get lost. Holding a phone to talk is the most natural and default method; thus a tablet is unsuitable for me. A first for me to hear a group of 48 people using tablet as cellphone. To me, 8” is still tiring to look at in standard scaling on Desktop mode. I have to increase it to 125% or more. Forget the digitizer pen from Dell because it has some problems, you can read the various reviews about it. I use a non active capacitive pen, because I rarely need inking mode (and I have a Note 2 for that). Which model(s) are your people using tablet as voice calling phone mode? I understand that people are different. I live in the moment. I buy and try to enjoy the devices I have. Some I am disappointed with, some I like. Such as like other things in life and life goes on. Since I am into this, so I own various devices which all have strong and weak areas, and I use them to do the kind of tasks I need to do, hopefully a good match. Some people, are dreamers, they dream up all the requirements they want, and criticize all the manufacturers for not making the devices they want TODAY. So they tell themselves that they will wait. Again, as I said, to each his own. Just don’t tell me (us) that the current products are unworthy and the next one in the future is only one that is worthwhile (but not even a spec of factual info on such products). You know what? I always want a computing device (portable) to be shock proof, waterproof, dust proof, basically the MIL SPEC stuff. I have other electronic devices that have that, and not even that super expensive. So why did so few portable computing devices have this capability / feature? (And those which did, are super expensive and hard to find, as they cater to the industrial and military markets). Especially for tablet computers. If I were like some people, I would have no computers to use for the last 25 years because none of these existed, and for the last 10 years, I knew some existed but I couldn’t justify the price, or the other areas are not as good (such as not as consumer friendly, using older technology etc). But I don’t go around blogs and starting shouting that none of the current products are worthless because they won’t stand a chance when dunked into a bucket of water? Remember: the topic here is about the $99. 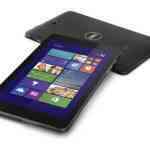 promo deal from Microsoft Store on the Dell Venue Pro 8. The product is real; the promo is (was) real, the reviews and users reports are generally positive. Nobody here asked to shift the discussion onto some unknown future product. The only 2 tablets that can do voice calling I know of: Huawei S7; Samsung Note 8.0 (but only in certain countries, not in North AMerica). And then the old original Galaxy Tab with 3G, but only after hacking (that not everyone can do, and it’s got bugs in that mode). About voice dialling capable tablets (without the need of blue tooth) I will add in your list the asus fonepad an intel atom android tablet. I use as my travel computers an ASUS ZENBOOK UX31A 13.3″ ultra book and a Mac Book air 11.6 with dual boot (osx / win7). I want to replace it with something smaller while traveling. Is that a bad thing ? Those new tablets are almost i3 for mobile speed that could help a lot of people to do some light work on the road or even connect to a projector or external monitor. My point is that now windows tablets are too fresh now and are not covering all users. I hope they do in 2014. For 99$ is ok, but for more money is better to wait for better and complete tablets. About using 8″ tablets as phones is a personal preference. we use Apps like team viewer and many others on a larger 8″ screen are easier to work on the road with out the need to pop out the laptop and with out making your eyes red from getting tired from a smaller 5″ screen. It would be fantastic for all of us just to curry one device that can do it all in one device even to use it also as a phone. Many? I have not seen one application that does not have a 32 version. Actually, many still have no 64 version. The real downside of 32 is: Microsoft and/or Intel have not made the 32 Windows 8 as stable as the 64 version. They often crash or black-screen like Windows 95/98/Me. 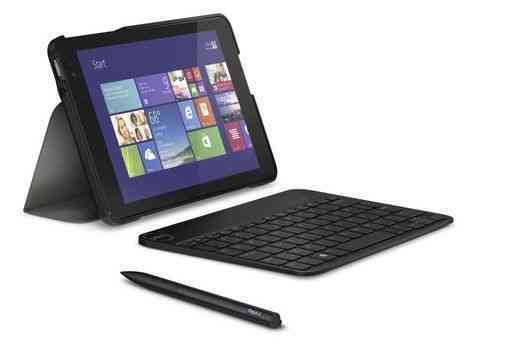 Maybe WinTel do this on purpose so these cheap tablets won’t compete with over-priced Ultrabooks. Therefore, even if the 64-bit ones will really show up next year or so, price won’t be low. Otherwise who’d still buy Ultrabooks or how WinTel make money? The need for an ultrabook with an i5 or i7 can not be compared to work on the road with an 8″ win tablet so it is not threat to the market of ultrabook & mac book air. recalculating… wonder if we can buy online if not residing in US? I’m at the westfield in century city and there are 6 people in line for this. I went to the online store. There it was, $199 Dell 8VP, Add to Cart. So I added it to the cart, and someone took the last one while I was doing so, and the product became unavailable. Oh well, I really want a 64GB model with GPS instead. Sometimes these offers can be more depressing than exciting! I’m sure there will be other offers over the next weeks. Excellent news, both for you, and for the Windows ecosystem and the future of small for factor Windows. Which of the 8″ tablets have the smallest bezels? I have W3 and Venue Pro 8. W3 is slightly bigger and thicker, but as for bezels, none of these have those so called edge-to-edge display that high end smartphones do, so you can forget about that if you must have those thin bezel. Most people don’t understand that the device manufacturers do not have a choice if no such LCD assembly components are available with thinner bezel. Same for laptops that only about 2 years ago that started to happen.